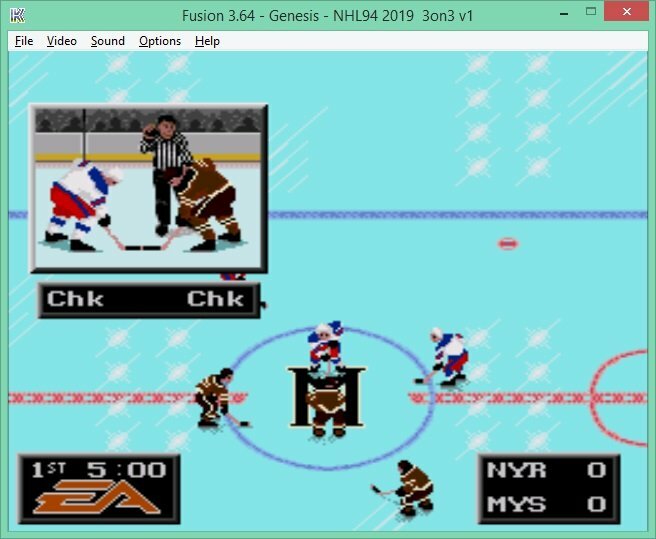 So, like last season, I took my recently released NHL94 2019 ROM and converted it to 3-on-3 play. The biggest change/update is that Team #32 is now the fictional skaters/team from the movie Mystery, Alaska. Because, in the movie, the team only had 11 players, I added an extra forward (Scott Gomez) and an extra Dman (Matt Carle). Both Gomez and Carle are no longer in the NHL but both are from Alaska like Brandon Dubinsky and Nate Thompson (who are still active). The arena that I assigned to them is the one that was used by the Alaska Aces before they moved to Portland. * When playing with line changes, the CPU gets the lines wrong. The CPU treats the CHK line as the #1 scoring line. The #1 scoring line is treated like the second scoring line. And, in turn, the 2nd scoring line is treated as a checking line. That said, I re-ordered them in NOSE. The CHK line will default to start each game that is simmed (as several folks like to sim games) but, it will contain the #1 players (Crosby, McDavid, Ovechkin, Doughty, E. Karlsson, etc.). Keep this in mind whether you do auto or manual line changes. 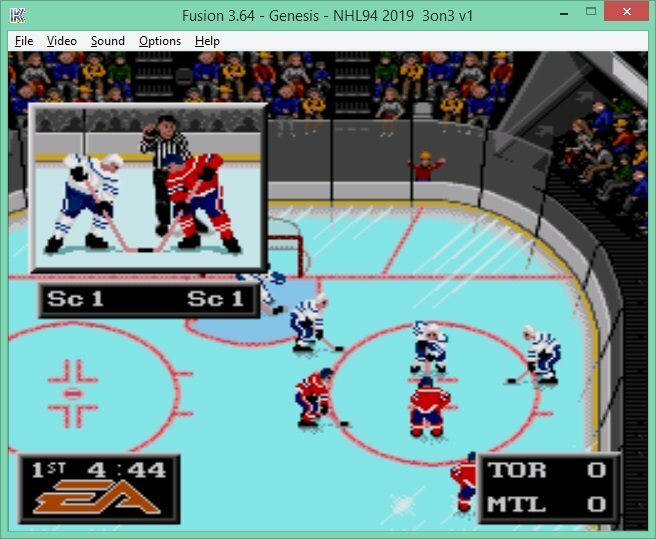 If you are player 1, it defaults starts scoring line 1. If your opponent is the CPU, you default start with scoring line 1 and the CPU default starts with the CHK line. If you are playing head to head, both you and your opponent will default start with scoring line 1. If you use NLC, it's a non-issue as that will default the NLC line. * The PP lines will have 4 skaters to have a man advantage. If your team gets two men in the penalty box, unfortunately, it will be a 4-on-2. 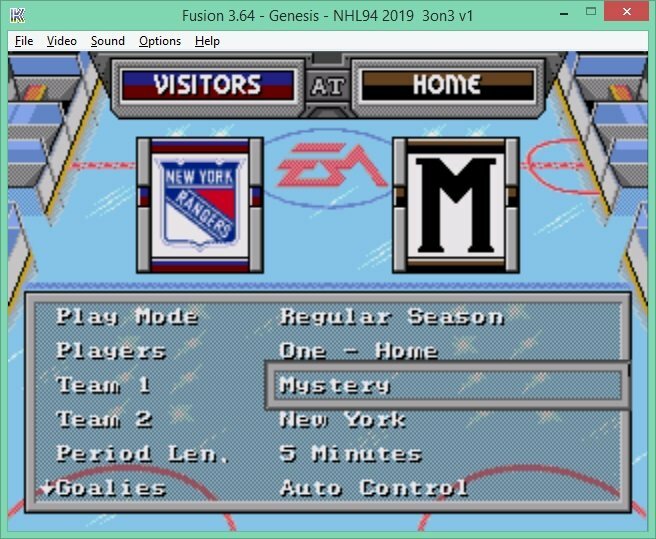 Can't do anything about that...the good news is, penalties, in this ROM, are only a minute in length (unlike the normal 2:00 length used in my 5-on-5 ROM). * Player portraits can only be viewed in the main team selection screen. In any other screen/view, if you allow the portraits to cycle, it will eventually freeze the game. * The “Winnipeg Freeze Bug" known to all 32 team roms. If you catch anything errors or mistakes, please feel free to share with me. I welcome any feedback! 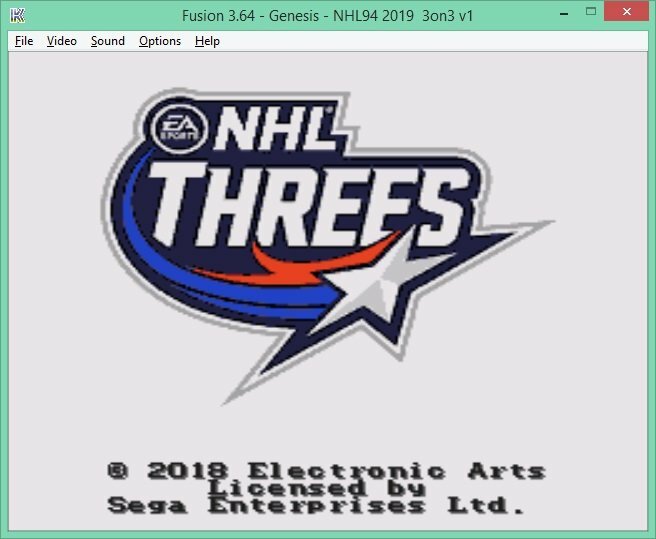 Now that I finished/uploaded my final 2019 5v5 rom, I was able to do the same for the 3v3 version (v2 posted above). This version has the same two playoff scenarios as the 5v5 version. One scenario is the 16 teams that made it into the NHL playoff (this year) and the other, the 15 that didn't. For the 32nd team, and final western playoff spot, I added Team Mystery Alaska to balance it out. See the above post for all other rom details and known bugs. If you like 3v3 play... enjoy! Cheers! Fixed an error, within the game, in which the Edit Lines screen would freeze unless I made some hex code changes. I missed one of those changes so it was freezing. My bad. It's now fixed and users can edit their lines pre-game or during. Cheers!